How much do you love your smile? If your answer is weak and not filled with confidence, make sure to keep reading. For patients of ours who are not particularly happy with their smile, we offer an abundance of options to help you resolve this problem. Cosmetic dentistry in Walnut Creek is one of our busiest areas of dentistry at Pope Dental. You might be wondering why it’s so busy, and that’s because a lot of our patients have discovered the top reasons why they should consider cosmetic dentistry treatments. If you’re unaware of the benefits of cosmetic dentistry, keep reading to find out how Pope Dental can help you with cosmetic dentistry treatments in Walnut Creek. One of the top reasons you should consider cosmetic dentistry is because it can easily improve your oral health. This is for a number of reasons. To start, cosmetic dentistry can only be given to patients who have healthy teeth. This means if you have any dental problems going on, we will need to treat these before we give you any cosmetic dentistry treatment. Once your smile is healthy, we can discuss the different cosmetic options available that can help your smile. Now that your teeth are healthy enough for cosmetic dentistry, once you receive your treatment, you will need to maintain this healthy smile in order to keep your newly treated teeth looking great. In addition, if your dental health begins to dwindle, your cosmetic dentistry treatments may also fail. 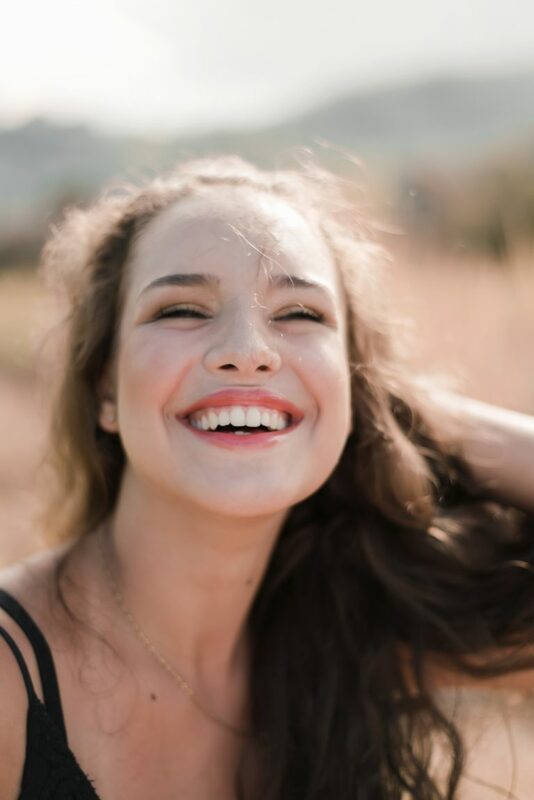 When you receive a cosmetic dentistry treatment, you will feel obligated to keep your smile healthy because it will help your results last longer and you will love your new smile so much it will encourage you to keep your smile healthy anyways. How’s your self-confidence doing? Do you tend to hide your smile or feel more reserved than you would like to? If you answered yes to either of those questions, cosmetic dentistry can help you feel more confident in yourself. Cosmetic dentistry will help you fall in love with your smile which will affect your overall self-confidence. This is because your smile is the first thing that people notice about you. When you feel good about the first thing people notice, they will notice that you are confident. An increase in self-confidence can help you with your personal and professional life. Whether you needed more confidence at work to help you get that next promotion or that boost in confidence to be more outgoing in your friend circle, cosmetic dentistry can help you get there. Experience a beautiful smile that gets you results in your life. You can also say goodbye to hiding from the camera. A lot of our patients at Pope Dental feel that cosmetic dentistry is out of their price range when in reality it is more affordable than you might think. To start, we offer a variety of payment options that can make anything affordable for you. You don’t have to pay for your treatment up front, you may be able to finance it and make monthly payments. In addition, since we offer such a variety of cosmetic dentistry treatments, we will be able to find one that fits into your budget. The cheaper side of cosmetic dentistry includes dental bonding and teeth whitening treatments. Visit our dentist to find out which treatments are best to perfect your smile. While we prefer to give cosmetic dentistry treatments to teens and older, there is no wrong age to get cosmetic dentistry treatments. Whether you are 20 or 70, there’s no wrong age to perfect your smile. We have patients of all ages visiting us to help their smile look great. Never let your age get in the way of opting for something you think you would like. Although we’ve already pointed out how great your smile will look, we think it’s best to emphasize how great you will look! When a smile is the first thing people notice about you, you will want that to look its best at all times. Cosmetic dentistry can help you look younger and healthier. This is because white and symmetrical smiles are associated with youth. Skip your next visit to the dermatologist and opt for cosmetic dentistry instead. Get ready to show off your pearly whites every chance you get. We take patient comfort seriously at Pope Dental and while none of our treatments are painful, you can expect all cosmetic dentistry treatments to feel painless. You might feel a bit of discomfort if you opt for an Invisalign treatment, but this is completely normal. If you’re scared of pain, you don’t have to worry with cosmetic dentistry treatments. We can help you achieve a beautiful smile without any pain or discomfort. If you’re concerned that we don’t have the right cosmetic dentistry treatments for your needs, you should know that we offer so many treatments, one of them are bound to suit your needs. From dental bonding, teeth whitening, Invisalign, and porcelain veneers, we can find the perfect treatment to fit your budget and your needs. Visit our dentist for a consultation to get started. Ready to perfect your smile with cosmetic dentistry in Walnut Creek? Our cosmetic dentist is excited to meet with you to discuss the treatments we have available to meet your goals. Fill out our contact form or give us a call to make an appointment. If you have any questions about cosmetic dentistry that you need to be answered, don’t hesitate to ask.